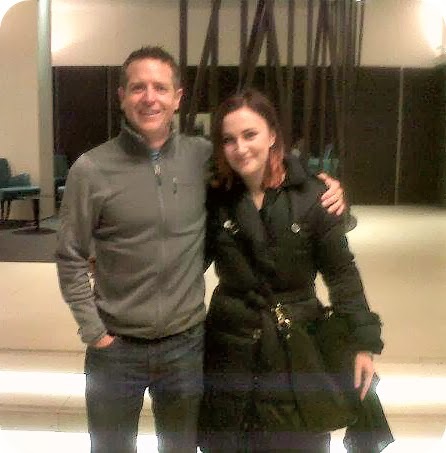 I had the nicest experience yesterday as I got to meet an author I love: Hugh Howey. He is a really nice person and I contacted him on Facebook the minute I discovered he was going to spend some time here in Milan. He accepted to meet me for dinner. Yes, I did it. I forgot to bring a camera! Crappy phone pic. We had a relaxed conversation over sushi and can I say I really needed to meet somebody so open minded when I am struggling with weird life choices and all. Such an interesting guy. I thought it was going to be a once in a lifetime occasion to meet a writer you love, since most of them are...ehm...dead or too old or simply too famous to care. I am definitely going to read his other books after the Wool saga, and I warmly suggest you do the same! You won't regret it.